Chris Eckerman is a senior investment officer of private equity direct investments at State of Wisconsin Investment Board (SWIB) with a total of $117 billion in assets, including the Wisconsin Retirement System, which is the ninth largest U.S. public pension fund. Prior to SWIB, he was a director at Covera Ventures, a venture capital firm focused on early-stage technology. In this interview, he discusses his transition from a venture capital firm to a public pension, how machine learning will aid their decision-making process and why he believes that private equity will deliver the highest returns of any asset class. Chris Eckerman was named on Trusted Insight's 2018 Top 30 Private Equity, Venture Capital Investors. He graciously spoke with us on May 9th, 2018. Trusted Insight: How has your experience at Covera Ventures influenced your approach to private equity and venture capital investing? Chris Eckerman: I was new to private equity and venture capital when I first joined Hunt Ventures, which later became Covera Ventures. I really credit the Ray Hunt family, the Hunt investment office, as well as my partners at Covera Ventures for mentoring and teaching me the ins and outs of the private equity world. The family office was making fund commitments, as well as doing co-investments and direct investments. Part of that direct investing platform ultimately became Covera Ventures. 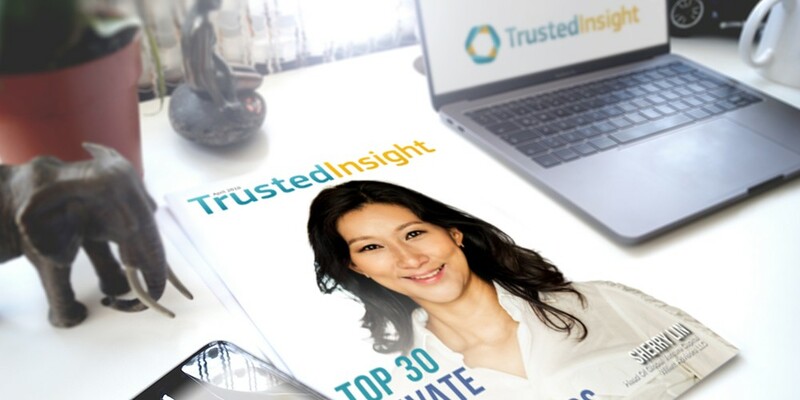 Trusted Insight: What was the transition from a VC firm to a public pension like? Chris Eckerman: The biggest thing for me was the intellectually stimulating environment because at Covera, we were strictly venture capital. At SWIB, we've got a much broader platform and we're investing across a number of different strategies within private equity. My ability to learn and gain experience across all of those other strategies has just been incredibly rewarding from an intellectual standpoint. "We're very thoughtful in our portfolio construction, but it's all about partnering with VC firms and GPs that have really strong domain expertise. We really try to drive incremental value through that domain knowledge." Another key change was just the magnitude and scale involved. Covera Ventures was a $100 million fund, whereas SWIB has over $110 billion in assets under management. We're talking day and night as far as the scale of the platforms and everything that goes with that. Those are probably the two biggest changes or differences that I've experienced in the transition. Trusted Insight: What are your thoughts on machine learning and artificial intelligence? In what ways will that technology impact institutional investing broadly? Chris Eckerman: I think that it’s still evolving, and we're going to learn as it progresses. We're already starting to see some uses of it through utilizing data sets to help drive meaningful decisions. We're using that data to source and evaluate promising investments. We think that it aids us in our decision making, as well as the GPs and portfolio company management teams as they seek to add value to the investments themselves. We’re able to analyze that data in almost real time and that definitely benefits us. We’ll have to wait and see what role it’ll ultimately play in the long run and as AI becomes more elevated. Trusted Insight: What industry or sector in the private equity/venture capital space do you find most intriguing right now? Chris Eckerman: At the end of the day, we're a pretty broad platform and fairly sector agnostic. It's about building a diversified portfolio. We're very thoughtful in our portfolio construction, but it's all about partnering with VC firms and GPs that have really strong domain expertise. We really try to drive incremental value through that domain knowledge. "There was an effort to shift more to the middle market. The belief is that there are greater inefficiencies in that section of the market, which has the ability to drive incremental alpha." I believe there's a strong emphasis on growth right now, especially in companies where an economic recession will have a muted impact on the performance of the business. Information technology continues to be a big and busy area. I think there are some really interesting things going on in health care, particularly around pharma and medtech outsourcing. We've also seen quite a bit of increase in financial services, which presumably is being driven by the increase of volatility that we have seen across the financial markets this year. Trusted Insight: SWIB plans to commit around $1.5 billion to private equity this year. What’s led to this push and how will you approach it? Chris Eckerman: We seek to put out anywhere from $1.3 billion to about $1.6 billion in commitments to private equity, and that's what we've been doing for the past years. This year will be no different as we expect to stay within that same range. A few years back, there was a preconcerted effort to shift away from the mega end of the market, which applies more to buyouts. Instead, there was an effort to shift more to the middle market. The belief is that there are greater inefficiencies in that section of the market, which has the ability to drive incremental alpha. Trusted Insight: What’s your outlook for private equity market performance over the next decade? Chris Eckerman: As a private equity person, and I may be biased here, I continue to believe that private equity will deliver the highest returns of any asset class. However, it is a competitive high-priced environment today. The opportunity or potential is certainly there, while there could be some pressure on the absolute returns. I still expect private equity to drive the highest returns of any of the asset classes. Trusted Insight: In a 2016 interview, your CIO David Villa said there’s ‘a war for talent’ in the public pension industry. What’s kept you going at SWIB? Chris Eckerman: Our ability to attract and retain talent is really driven by the strength of the SWIB platform and brand, as well as that fully-funded status. In addition to the SWIB organization, our board of trustees has been incredibly thoughtful in the organizational structure. That makes it effective for us to transact in the marketplace across all the different asset classes. I think that's the key factor in attracting and retaining the talent. To top it off, Madison is a pretty cool city. View our full catalog of interviews with here. The complete list of Top 30 Private Equity, Venture Capital Investors can be found here.